According to Dr. Frawley, mantra repetition is perhaps the main method of the Yoga meditation. He regards mantras as asanas for the mind. He’s written an entire book on the subject (Mantra Yoga and Primal Sound) and, in this interview, he details the use of mantra as an aid in meditation. Integral Yoga Magazine (IYM): How do mantras work to prepare the mind for meditation? David Frawley (DF): We always think of mantra and meditation as going together. There are some meditations that are almost entirely mantric. Others begin with mantra and then forget about the mantra. When you forget about the mantra, you merge into the vibration of the sound or nada and the repetition dissolves. The mantra allows you to forget the mind. Then the mantra can also dissolve or it may continue in the background or it may open into space, light or awareness. When the mind is fully focused and energized, a natural transcendence occurs. The mind becomes one-pointed. Yoga talks about dissolving the mind, but you can only dissolve it if it becomes one-pointed. Dharana precedes dhyana. Yoga defines this dissolution as nirodha. The ekagra or one-pointed state of mind, precedes the nirodha state, when the mind is withdrawn. Nirodha is only possible from the ekagra state. Mantra aids in the one-pointed state of mind. A mantra is used to prepare the mind because meditation is essentially either an effort to silence the mind—according to the Yoga Sutras—or an attempt to access the natural silence of the mind or consciousness. Our mental activity—sensations, memories, thoughts, emotions—blocks that, so a mantra is an excellent tool for harmonizing and calming the mental field. The mind consists of words, sounds, memories and samskaras with a vibratory base. Our fragmented thinking patterns create a fragmented vibratory field in the mind. The mantra harmonizes and integrates the vibratory field of the mind and undermines the entropy so the entropy goes away. When you sit to meditate you will then have the mantra vs. the other thoughts, fears and desires going on. The mind’s background activity reflects your mind’s most habitual thoughts. Like the mother thinking of the child while she’s away at work, we need to continually draw the mind back to the mantra. That is mantra dharana. Dharana precedes dhyana. You concentrate the mind to meditate and the mantra is the best and simplest tool for concentration. There are some modern groups that tell you, if you meditate, not to use a mantra because meditation is designed to decondition the mind and mantra conditions it. But, actually, mantra breaks down the samskaras, so it’s the best tool for deconditioning the mind and it leaves you with a sattvic samskara that contributes to a sattvic mind. That’s why most meditation traditions—Advaita-Vedanta, Zen and even Tibetan—use mantra. Sometimes the mantra is used before meditation as the focus, or fruit of, meditation. There are people who use mantras in a mechanical way that conditions the mind. Public Relations gurus use slogans or mottos that become rajasic or tamasic mantras. But sattvic mantras decondition the mind and give the mind a sattvic condition, which is conducive to the higher knowledge. It’s only the sattvic mind that can meditate—otherwise it will be running all over the place. 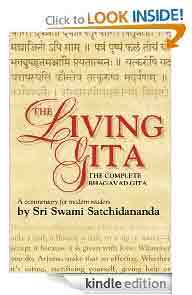 The sattvic mind rests upon a sattvic lifestyle, as defined in the yamas and niyamas. You need a sattvic intention, because you can use mantras for nonspiritual, rajasic or tamasic purposes that increase one’s passions, desires and greed. In India, there are books on mantras that are used for these kinds of purposes, but they don’t tell you that if you do that you increase those gunas, or qualities, and there is negative karma that comes from that. IYM: What types of mantras are used for what types of meditation? DF: There are two main lines of meditation: devotional and knowledge-based meditation and three main types of mantras: bija, holy names and extended prayers. Devotional meditation is Bhakti Yoga. In Bhakti Yoga, the main tool is the use of divine names, like OM Namah Shivaya. Knowledge-based meditation is Jnana Yoga, or the pure meditation traditions that use mantras like OM—or, in Vedanta, they have the Mahavakyas such as Aham Brahmasmi, Tat Tvam Asi. There is still the focus of the mantra there. Then there is a third line that entails all the kriyas, the kundalini-type Yogas and uses many mantras. There are mantras for the chakras, deities, prana, the shakti mantras. Whichever of these approaches to meditation you follow, mantra has primary role. Usually for meditation purposes, the shorter, or bija, mantras are more commonly used because they have a greater vibratory power. A bija is able to move into the subconscious mind in order to change the prana and change the memory blockages or samskaras so they can create a powerful energy. There are a dozen or more commonly used bijas. It’s very simple to use a bija mantra with OM to energize and clear the mental field. In the book, we’ve put more emphasis on the bija mantras for that reason. We also tried to help people understand what the different bijas are for. They are not meaningless sounds. They have different meanings and applications, though these tend to be rather broad. Other mantras also can be used. The name mantras like OM Namah Shivaya and OM Namo Bhagavate Vasudevaya introduce the name of the deity and are of a devotional nature. Lastly, there are extended prayers or chants—like the Gayatri mantra—peace chants or some message or idea that is being projected. Sometimes the three types of mantra are used together. IYM: Would you speak about the relationship between mantra, silence and vibration? DF: When we use mantras, we are moving the mind into a vibratory level of awareness by breaking down the habitual sound patterns of the outer mind. You find mantra and the Word throughout all spiritual, yogic and shamanic traditions. There’s a long yogic tradition of this, starting with the mantra OM. Essentially all spiritual traditions rest on a body of knowledge that is held in sound and scripture. The Word, the Divine Name, Shakti, all these things are interconnected. The Word becomes the vehicle of carrying the knowledge. The mantra is the energized, or concentrated, form of the Word. It also exists on different levels beyond verbal speech. Silence is ultimately a type of speech—not the silence of people not speaking to each other, but the background sound of space, shabda brahma. The seed syllables are primordial sounds that represent a deep level of speech, and sound prior to words, in the ordinary sense. When we make such primal sounds we try to connect with the cosmic aspect of sound in order to reach the vibratory energies that underlie and sustain the universe, the divine Word/cosmic mind—the speech of the gods. In fact, our entire being—the subtle body—is made up of sound. That’s why in the yogic system, the chakras and their petals are defined by Sanskrit letters. The Kundalini Shakti is made up of the letters of the alphabet. Through a mantra one awakens and energizes the subtle body and connects with the power of the chakras to deeper levels of consciousness. The subtle body is made up of sound. There are natural sounds of consciousness, which are inherent—the anahata. They are not produced by friction or activity. In the mantra we want to go back to the primal vibration, or nada. The nada is the underlying vibratory field. Everything is vibrating but the deeper level of vibration is coming from space, not from some thing. The purpose of Yoga is to get back to what the Yoga Sutras and the Upanishads call pranava, which also means primal sound. OM is the main mantra used for that purpose, but other bijas can aid in the process. For example, Hrim is the pranava for the worship of Shakti. The hum or haum for worship of Shiva. It’s not just a particular sound, pranava is the primal sound vibration and the bijas represent that in various ways. One should strive to deepen the mantra as well to access the power of cosmic sound. Otherwise the mantra can become boring. IYM: What is the connection between mantras, Sanskrit and vibration? DF: With bija mantras and the primal sounds, the pronunciation is very important. You are working with vibratory quality of the sound. Different sounds will have different vibratory qualities. That’s also the beauty of the Sanskrit language and Sanskrit prayers. I’m not saying God only hears you if you pray in Sanskrit, but we should strive to energize our speech, and the Sanskrit and mantras help that. I often have people repeat shanti, shanti, shanti and then peace, peace, peace to show what I mean. You will notice that the vibratory sound quality of shanti is peaceful but the vibratory quality of peace is not as peaceful. Sh is soft, ah is expansive. P is a hard sound, e sound is narrow. When you say peace it kind of tightens the body. Whereas if you say shanti it relaxes. They both mean the same, but in one case the sound quality supports the peaceful meaning, while the other doesn’t. IYM: Please explain the science of mantra. DF: In Yoga tradition, mantras are connected to all the sacred sciences. There are healing mantras for Ayurveda, jyotish or astrological/planetary mantras that deal with the forces of time, vastu mantras deal with directional influences. There’s a whole science of mantras that pervades all these Yoga vidyas. There is a difference between someone giving you an asana to practice and you, yourself, being a Yoga teacher and knowing the science of asana. Similarly, there is a science of mantra, which is one of the great Yoga vidyas. Otherwise people pick up mantras from anywhere, which may be of some value but—if you have an integrated body of knowledge, with detail and precision—like you have with asana science—your application is much deeper. In the book, I try to show the vidya or knowledge behind the mantras vs. merely throwing out a lot of mantras. It’s important for anyone teaching asana, pranayama or meditation to have knowledge of the mantra or their knowledge of Yoga is incomplete. There are Yoga teachers studying this, but we need deeper study. Just like in pranayama, there are different pranayamas for different effects, so too with mantras. After some time of steady practice, you can understand what mantras do and which you need to repeat and thus these become main tools of your Yoga practice. Like in asana or pranayama, mantras have their energies and applications. Yet, the mantra also needs to be empowered. This is not about simply mechanically repeating a sound or playing the Gayatri mantra as a pop music background in one’s asana class. It’s very different when a great master says OM vs. someone reading a book, finding the word OM and wondering what it means because it doesn’t exist in the dictionary. Receiving a mantra is like a yogurt starter. A master who has built up the vibration, imparts some of that vibration, so it has a different quality. Like someone writing a check—if you have no money in the bank, you can put as many zeroes as you want. In the same way, the mantra requires energizing. IYM: How are mantras energized? DF: You can energize them through a teacher, traditions or rituals like fire and flower offerings. There is a whole art of energizing mantras. Most rituals—pujas or yagnas—revolve around certain mantras. Most pujas involve making different flower offerings for the names of the deity. Yagnas are rituals in which you repeat mantras as you offer ghee to the fire and say svaha. It means making sacred your mantras and your speech. Mantras are sacred speech, and rituals are closely connected to making the speech sacred. Our words are energized with certain meaning. With mantra we energize them with sattvic intentions or by specific intentions for a specific deity, understanding the inherent vibratory energy itself, or with the blessings of a teacher or tradition. We must learn how to energize the mantra, not just blindly repeat it. One must follow the appropriate lifestyle, state of mind and heart, sattvic diet, etc., and then the mantra begins to come alive. It can communicate with you. It can resonate with the nada. Even though you are repeating the same mantra, it’s not a matter of repetition; it’s a matter of empowering something. If you perform a pranayama, you are working with the breath and increasing the power of the breath and of prana. With the mantra, when you learn it, you are increasing the power of the mantra and the power of attention. It’s difficult for people to meditate if they don’t have any mantra shakti. IYM: How can we bring this vibration from our meditation into our daily lives? DF: The mind is always engaged in some kind of sound-based thought or activity. When the mantra becomes your primary activity, that’s what your mind reverts to as its ground of being. The mantra has a sattvic vibration so it changes the field of the subconscious mind. We can see how sound and music affect the mind. Just as we often recall some old song we’ve heard during the day, the mantra is able to get into the subconscious mind and impact the prana and thus change the habitual patterns. Mantras can help us not to automatically fall into those reactive mechanisms of memory. We all have our programming, and mantras change the programming of the mind. We can learn to make the mantra our dominant mental activity or the background activity as we do things throughout the day. IYM: In what other ways can we bring mantras into our Yoga teaching and practice? DF: Having kirtans, chants before class, using mantras with pranayama, working with OM and many other ways. In modern Yoga, mantra isn’t often given its due. Many people just try to sit and meditate or go from asana to meditation or from pranayama to meditation without using a mantra. It seldom works because you need the phase of mantra to consolidate the mental field, otherwise you are caught in the middle somewhere. I hope that more Yoga teachers recognize the importance of mantra. Mantra is a body of knowledge. Another important thing about the mantra is you can do it any time. Asana or pranayama can’t be done any time of the day, but mantra can go on for 24 hours. This akanda japa works with the natural sound of the breath and helps you align yourself with the more enduring state of meditation throughout the day. Dr. David Frawley (Vamadeva Shastri) is one of the world’s most respected Vedic astrologers and Ayurvedic doctors, as well as an authority on many different aspects of Yoga. His work is prominent in the Ayurvedic field in the US, India and throughout the world. He is founder and director of the American Institute of Vedic Studies and author of more than thirty books and several courses. His latest book, Mantra Yoga and Primal Sound, is widely available. For more information, please visit: www.vedanet.com.